This week’s Chew on This looks at Omurice! A wasei-eigo of the words “omelet” and “rice,” omurice is a popular and iconic yoshoku dish found in Japanese home cooking and in western-style diners in Japan. The dish generally consists of chicken fried rice wrapped in a thin egg omelet and drizzled with ketchup, but there are many ways to add a unique twist to this simple dish. Yoshoku refers to the Western-influenced cooking in Japan which originated in the Meiji Restoration and features prominently meat. The Meiji Emperor promoted Western cooking alongside other Western ideas during the Restoration. Many familiar Western foods like Salisbury steak and the hamburger became localized to Japanese tastes. For example, while an American hamburger is referred to as “hambagah,” yoshoku style “hambagoo” is a ground beef patty, served bunless and drizzled in sauce. 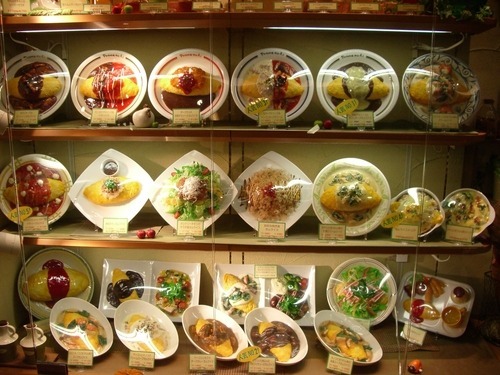 Contemporary yoshoku dishes such as omurice, katsu curry, and shrimp tempura are served in Japanese restaurants overseas. The dish is also a staple of any kid’s meal or okosama-ranchi in Japan and served at maid cafes. 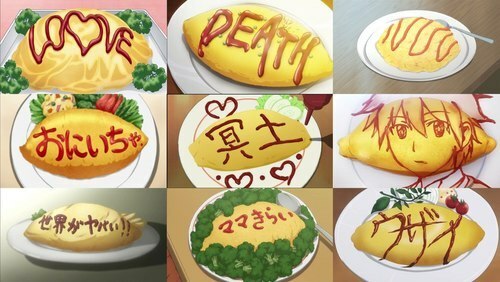 It is also popular to write messages or draw cute designs with ketchup on omurice. For a taste of omurice on campus, check out NYU Club Anime’s CosCafe event next Saturday (4/20) where omurice and other delicious foods will be served! You can try omurice at Kenka, the popular Japanese restaurant near campus on St. Mark’s. If you are willing to venture off campus, the popular food court Food Gallery 32 in K-Town also serves omurice. The dish found its way to Korea during the Japanese occupation and is similarly popular there today. Omurice is also simple and easy to make at home or at your dorm. Check out these great video tutorials on how to make your own omurice! The ingredients for omurice can be found at any grocery story and you won’t need more than a pan and a rice cooker to make the dish.